Quick Lit | June 2017 — TBR, etc. It's Quick Lit time! I read 8 books over the last two months, which is a bit behind my 5 books a month goal. But I read quite a few good ones, and I'll take quality over quantity any time. This was probably my favorite book that I read this month. The Hate U Give tackles tough, current issues and does so in a way that's accessible to everyone. The book opens with a young black teen being shot by a police officer and goes from there. You will root for the characters and cry with them, and pray that to the next generation that reads this book, police shootings of unarmed black men will be a thing of the past. Full review here. Another solid 5 star book. 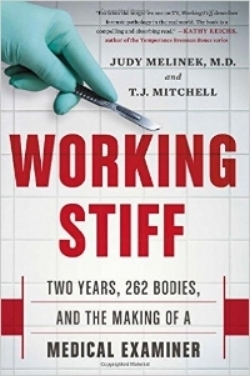 Working Stiff is a non fiction memoir written by a medical examiner who tells tales from her training. It's fascinating and heartbreaking at the same time. She worked in Manhattan during 9/11, and describes the aftermath with such compassion. She also offers a unique perspective into the families of those who have loved ones who committed suicide, because her father committed suicide himself. Excellent book for those with and without a science background! 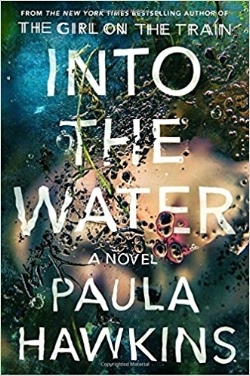 This book is firmly my wheelhouse- a new release and a psychological thriller. It's the sophomore novel from B.A. Paris, author of Behind Closed Doors. I enjoyed it! Cass is a teacher whom, when driving home from a summer break happy hour, takes a shortcut home and finds a woman sitting in her car in the middle of the road. It's a huge storm and when the woman didn't indicate that she needed help, Cass decides to go home and call the cops. The problem is, she forgets to call and finds out that the woman has died. She does into a downward spiral and becomes obsessed with the case and in finding out what happened to the woman. It was a definite page turner (if not a little predictable)! Full review here. I'm always trying to add more diverse books into my reading list, and I'm glad that I came across George. I hadn't read a book like before. George is biologically a boy, but inside she knows that she is a girl. She's in elementary school and thinks she will have to keep this secret forever. However, she falls in love with the character Charlotte from Charlotte's Web and when her school puts on the play, she decides to audition for her. It's a YA book and I think it would be great for a young kid to read to get introduced to what it means to be transgender. This was a book that I happened to come across on Kindle First. Did you know that if you're an Amazon prime member that you get to purchase to one free e-book a month? You get to choose from 5 and theres usually a wide variety. I picked The First Word on a whim and i ended up really enjoying it. 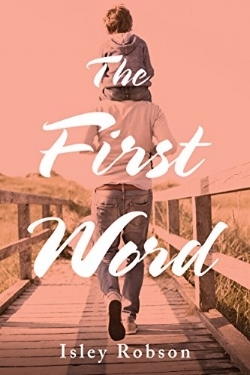 It's a light read and a love story about a man and his child with Asperger's who begins to fall in love with his son's Occupational Therapist. It's a little 50 shades, but it ended up being a sweet story. if you're looking for an uplifting and inspiring book, this might be it. The Moth is a collection of short vignettes from people that shared their story at the Moth. I first heard about The Moth from the TV show Girls, and I love the idea of getting to hear a snippet of someone's life. There are a ton of different stories and some of them made me cry, laugh, think, and shudder. It's also a physically beautiful book with a matte blue cover and gold etching, if you're into that sort of thing. 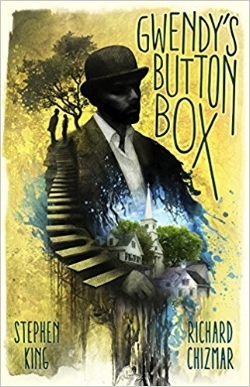 Gwendy's Button Box is a brand new release from Stephen King. It's a very short story- only 180 pages- but it was absolutely engrossing. You could easily read this in a weekend. What I loved is that we're introduced to something that might have caused epidemics in other King books (The Stand, anyone?) I always love reading King and this is a great one for anyone who wants to read King but is intimidated by horror by length. What was your favorite book you've recently read?